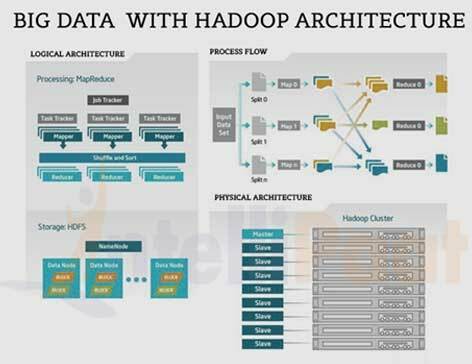 This part of the Hadoop tutorial will introduce you to the Apache Hadoop framework, overview of the Hadoop ecosystem, high-level architecture of Hadoop, the Hadoop module, various components of Hadoop like Hive, Pig, Sqoop, Flume, Zookeeper, Ambari and others. Apache Hadoop was born to enhance the usage and solve major issues of big data. The web media was generating loads of information on a daily basis, and it was becoming very difficult to manage the data of around one billion pages of content. In order of revolutionary, Google invented a new methodology of processing data popularly known as MapReduce. Later after a year Google published a white paper of Map Reducing framework where Doug Cutting and Mike Cafarella, inspired by the white paper and thus created Hadoop to apply these concepts to an open-source software framework which supported the Nutch search engine project. Considering the original case study, Hadoop was designed with a much simpler storage infrastructure facilities. 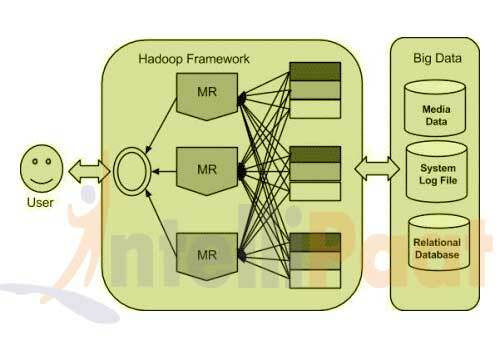 Apache Hadoop is the most important framework for working with Big Data. 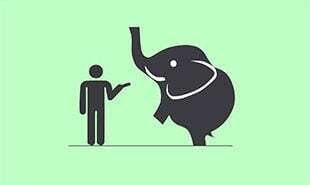 Hadoop biggest strength is scalability. It upgrades from working on a single node to thousands of nodes without any issue in a seamless manner. Google’s Doug Cutting and his team members developed an Open Source Project namely known as HADOOP which allows you to handle the very large amount of data. Hadoop runs the applications on the basis of MapReduce where the data is processed in parallel and accomplish the entire statistical analysis on large amount of data. It is a framework which is based on java programming. It is intended to work upon from a single server to thousands of machines each offering local computation and storage. It supports the large collection of data set in a distributed computing environment. 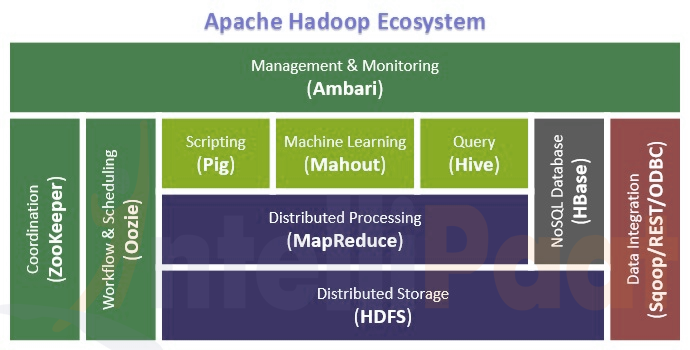 The Apache Hadoop software library based framework that gives permissions to distribute huge amount of data sets processing across clusters of computers using easy programming models. Hadoop was created by Doug Cutting and hence was the creator of Apache Lucene. It is the widely used text to search library. 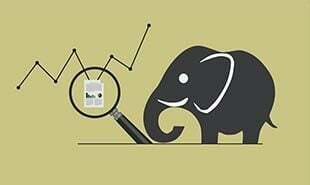 Hadoop has its origins in Apache Nutch which is an open source web search engine itself a part of the Lucene project. HDFS: Hadoop Distributed File System provides unrestricted, high-speed access to the data application. Hadoop YARN: This technology is basically used for scheduling of job and efficient management of the cluster resource. MapReduce: This is a highly efficient methodology for parallel processing of huge volumes of data. Managing of the Hadoop framework is highly efficient, secure and consistent. The installation and configuration of Hadoop cluster are simplified effectively. Advanced cluster security set-up comes additional with this tool kit. Increased levels of customization and extension make this more valuable. Cassandra: It is a distributed system to handle extremely huge amount of data which is stored across several commodity servers. The database management system (DBMS)is highly available with no single point of failure. HBase: it is a non-relational, distributed database management system that works efficiently on sparse data sets and it is highly scalable. Apache Spark: This is highly agile, scalable and secure the Big Data compute engine, versatiles the sufficient work on a wide variety of applications like real-time processing, machine learning, ETL and so on. Hive: It is a data warehouse tool basically used for analyzing, querying and summarizing of analyzed data concepts on top of the Hadoop framework. Pig: Pig is a high-level framework which ensures us to work in coordination either with Apache Spark or MapReduce to analyze the data. The language used to code for the frameworks are known as Pig Latin. Sqoop: This framework is used for transferring the data to Hadoop from relational databases. This application is based on a command-line interface. Oozie: This is a scheduling system for workflow management, executing workflow routes for successful completion of the task in a Hadoop. Zookeeper: Open source centralized service which is used to provide coordination between distributed applications of Hadoop. It offers the registry and synchronization service on a high level. Hadoop Mapreduce (Processing/Computation layer) –MapReduce is a parallel programming model mainly used for writing large amount of data distribution applications devised from Google for efficient processing of large amounts of datasets, on large group of clusters. Hadoop HDFS (Storage layer) –Hadoop Distributed File SystemorHDFS is based on the Google File System (GFS) which provides a distributed file system that is especially designed to run on commodity hardware. It reduces the faults or errors and helps incorporate low-cost hardware. It gives high level processing throughput access to application data and is suitable for applications with large datasets. Hadoop YARN –Hadoop YARN is a framework used for job scheduling and cluster resource management. Hadoop Common –This includes Java libraries and utilities which provide those java files which are essential to start Hadoop. Task Tracker –It is a node which is used to accept the tasks such as shuffle and Mapreduce form job tracker. Job Tracker –It is a service provider which runs Mapreduce jobs on cluster. Name Node –It is a node where Hadoop stores all file location information(data stored location) in Hadoop distributed file system. Data Node – The data is stored in the Hadoop distributed file system. Data Node –It stores data in the Hadoop distributed file system. Big Data and analytics are the most interesting domains to build your image in our IT world. There is a scope for Big Data and Hadoop professionals . This intend towards those individuals who are awed by the sheer might of Big Data and highly influence commands in corporate boardrooms and who is keen to take up a career in Big Data and Hadoop. If an individual aspire to become an Big Data and Hadoop Developer or Administrator, Architect, Analyst, Scientist, Tester and who owns an corporate designation such as Chief Technology Officer, Chief Information Officer, or even a Technical Manager of any enterprise. Apache Hive and Pig are high-level programming languages tools and there is no compulsory usage of Java or Linux It allows creating your own MapReduce program in any programming language like Ruby, Python, Perl and even C programming. Hence now the requirement is made easy to understand the computer programming logic and deductions. Remaining is add-on and can be easily understood in a short duration of time. Hadoop helps to execute large amount of processing where the user can connect together multiple commodity computers to a single-CPU, as a single functional distributed system and have the particular set of clustered machines that reads the dataset in parallel and provide intermediate, and after integration gets the desired output. Data are initially divided into files and directories. Files are divided into consistent sized blocks ranging from 128M and 64M. Then the files are distributed across various cluster nodes for further processing of data. Job tracker starts its scheduling programs on individual nodes. Once all the nodes are done with scheduling then the output is return back. The above methodology guide you to become professional of Big Data and Hadoop and ensuring enough skills to work in an industrial environment and solve real world problems and gain solutions for the better progressions. Unstructured – here data cannot be stored in rows and columns like video, images, etc. There is a standardized methodology that Big Data follows highlighting usage methodology of ETL. ETL – stands for Extract, Transform, and Load. Load –right systems to derive value in it. Most database management systems are not up to scratch for operating at such lofty levels of Big data exigencies either due to the sheer technical inefficient. When the data is totally unstructured, the volume of data is humongous, where the results are at high speeds, then finally only platform that can effectively stand up to the challenge is Apache Hadoop. 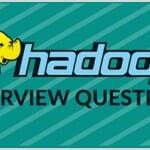 Hadoop majorly owes its success to a processing framework called as MapReduce that is central to its existence. The MapReduce technology gives opportunity to all programmers contributes their part where large data sets are divided and are independently processed in parallel. These coders doesn’t need to knew the high-performance computing and can work efficiently without worrying about intra-cluster complexities, monitoring of tasks, node failure management, and so on. Hadoop also contributes it’s another platform namely known as Hadoop Distributed File System (HDFS). The main strength of HDFS is its ability to rapidly scale and work without a hitch irrespective of any fault with the nodes. HDFS in essence divides large file into smaller blocks or units ranging from 64 to 128MB later are copied onto a couple of nodes of the cluster. From this HDFS ensures no work would stop even when some nodes going out of service. HDFS owns APIs to ensure The MapReduce program is used for reading and writing data (contents) simultaneously at high speeds. When there is a need to speed up performance, and then add extra nodes in parallel to the cluster and the increased demand can be immediately met. It give access to the user to rapidly write and test the distributed systems and then automatically distributes the data and works across the machines and in turn utilizes the primary parallelism of the CPU cores. Hadoop library are developed to find/search and handle the failures at the application layer. Servers can be added or removed from the cluster dynamically at any point of time. It is open source based on Java applications and hence compatible on all the platforms. Apache Hadoop is the most popular and powerful big data tool, which provides world’s best reliable storage layer –HDFS(Hadoop Distributed File System), a batch Processing engine namely MapReduce and a Resource Management Layer like YARN. Open-source – Apache Hadoop is an open source project. It means its code can be modified according to business requirements. Distributed Processing– The data storage is maintained in a distributed manner in HDFS across the cluster, data is processed in parallel on cluster of nodes. Fault Tolerance– By default the three replicas of each block is stored across the cluster in Hadoop and it’s changed only when required. Hadoop’s fault tolerant can be examined in such cases when any node goes down, the data on that node can be recovered easily from other nodes. Failures of a particular node or task are recovered automatically by the framework. Reliability– Due to replication of data in the cluster, data can be reliable which is stored on the cluster of machine despite machine failures .Even if your machine goes down, and then also your data will be stored reliably. High Availability– Data is available and accessible even there occurs a hardware failure due to multiple copies of data. If any incidents occurred such as if your machine or few hardware crashes, then data will be accessed from other path. Scalability– Hadoop is highly scalable and in a unique way hardware can be easily added to the nodes. It also provides horizontal scalability which means new nodes can be added on the top without any downtime. Economic– Hadoop is not very expensive as it runs on cluster of commodity hardware. We do not require any specialized machine for it. Hadoop provides huge cost reduction since it is very easy to add more nodes on the top here. So if the requirement increases, then there is an increase of nodes, without any downtime and without any much of pre planning. Easy to use– No need of client to deal with distributed computing, framework takes care of all the things. So it is easy to use. Data Locality– Hadoop works on data locality principle which states that the movement of computation of data instead of data to computation. When client submits his algorithm, then the algorithm is moved to data in the cluster instead of bringing data to the location where algorithm is submitted and then processing it. Hardware may fail due to any external or technical malfunction where instead commodity hardware can be used. Processing will be run in batches and there exits an emphasis on high throughput as opposed to low latency. Applications which run on HDFS have large sets of data. A typical file in HDFS may be of gigabytes to terabytes in size. Applications require a write-once-read-many access model. Moving Computation is cheaper compared to the Moving Data. System shall manage and heal itself as per the requirement occurred. Fault Tolerant are automatically and transparently route are managed around failures speculatively execute redundant tasks if certain nodes are detected to be running of slower phase. Performance is scaled based on linearity. Compute must be moved to data. Data Locality is termed as lower latency, lower bandwidth. It is based on simple core, modular and extensible (Economical). 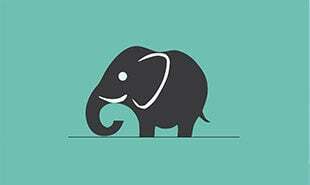 "0 Responses on Introduction to Hadoop"
Sign Up or Login to view the Free Introduction to Hadoop.